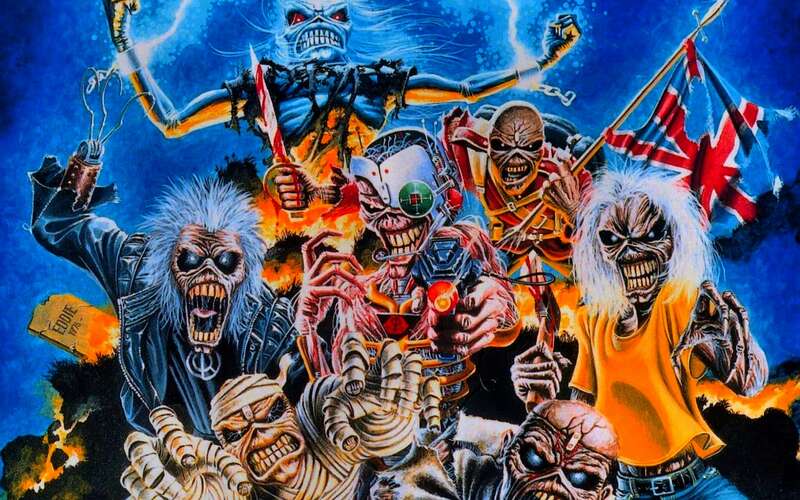 Iron Maiden wallpapers for your PC, Android Device, Iphone or Tablet PC. 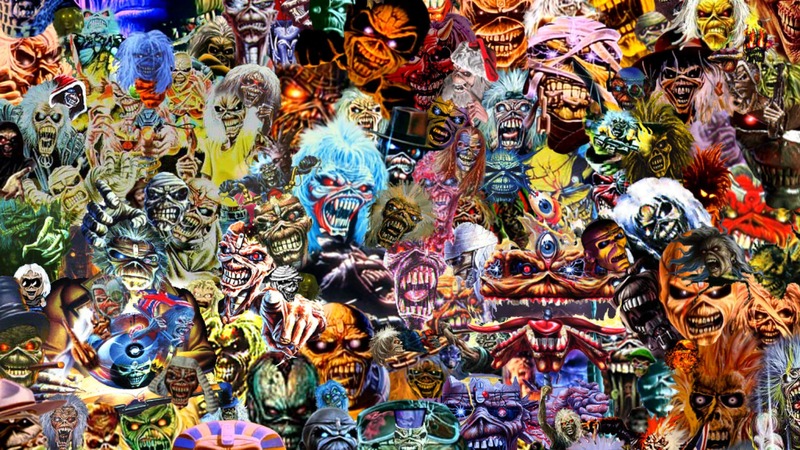 If you want to download Iron Maiden High Quality wallpapers for your desktop, please download this wallpapers above and click «set as desktop background». You can share this wallpaper in social networks, we will be very grateful to you. 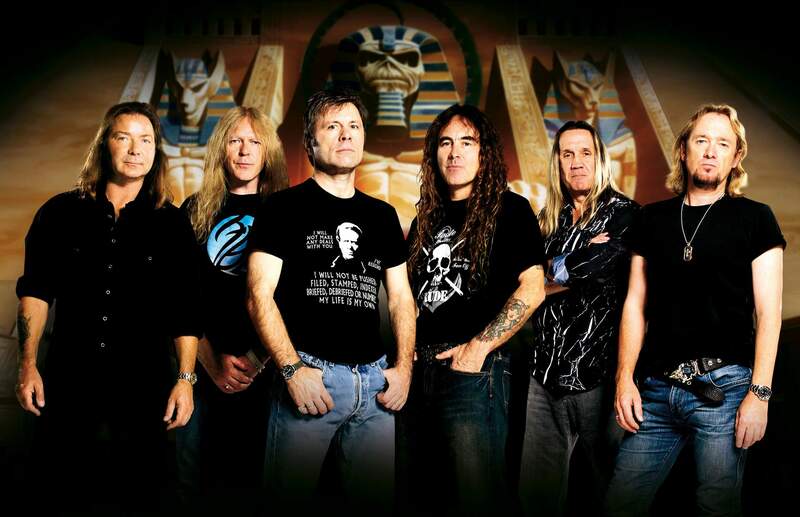 Legendary British heavy metal band Iron Maiden was formed in 1975 by bassist Steve Harris. He had a clear idea of what kind of music he wanted to perform, and as a result, he decided to look for like-minded people. Very soon the first part was approved, and rockers started performing in small clubs. The potential was huge, and regular performances throughout the United Kingdom only contributed to the growth of popularity. 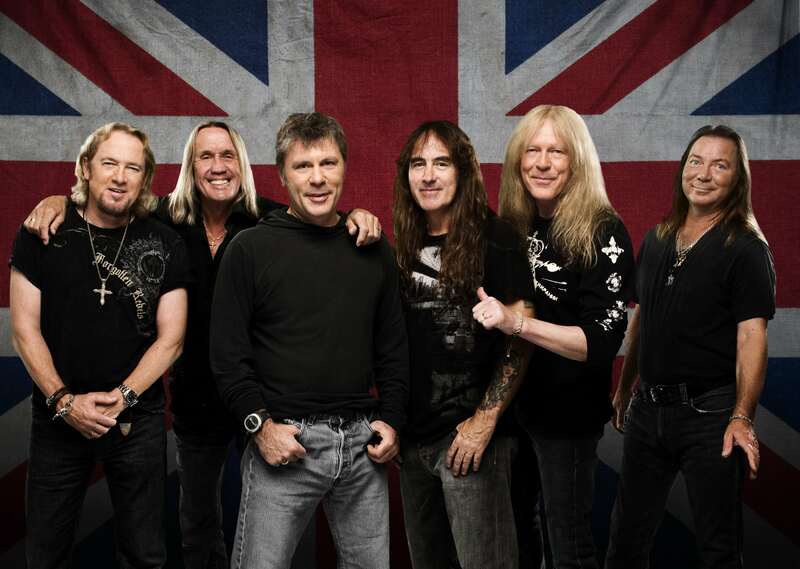 In addition, a recognizable style, created by musicians Iron Maiden, was truly revolutionary – they rightfully bear the title of fathers of the New wave of British heavy Metal. 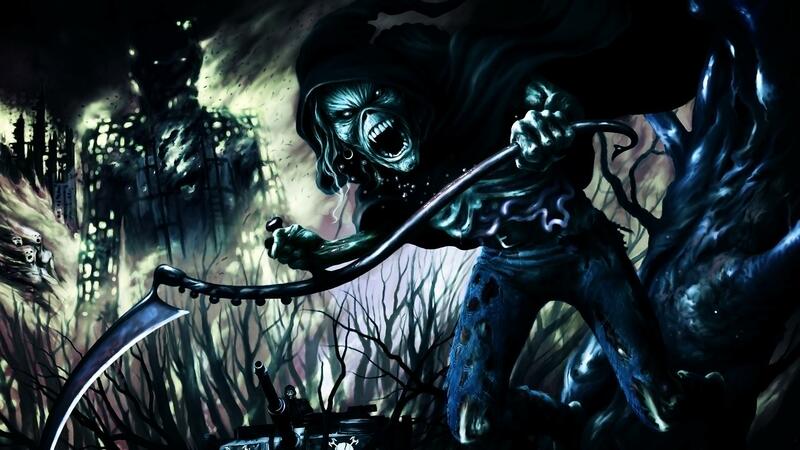 Thanks to the concerts, the musicians were able to accumulate a certain amount and do the first demo recordings, among which was the song Prowler, later took first place in the metal charts. 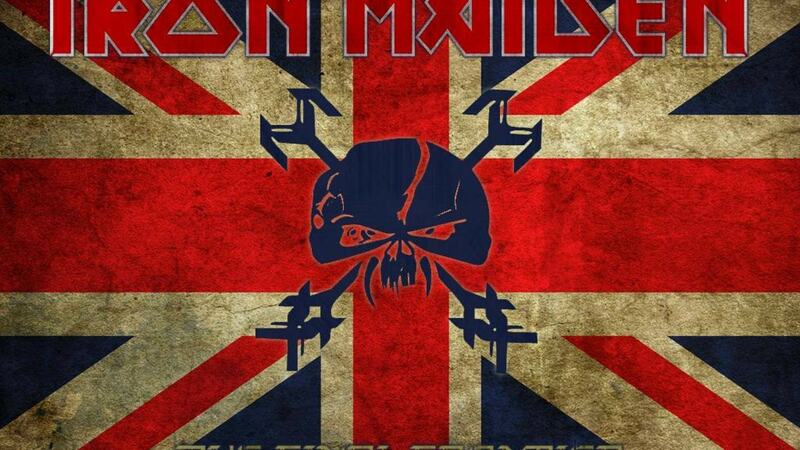 Bright performances of Iron Maiden was not deprived of attention on the part of the representatives of different labels. 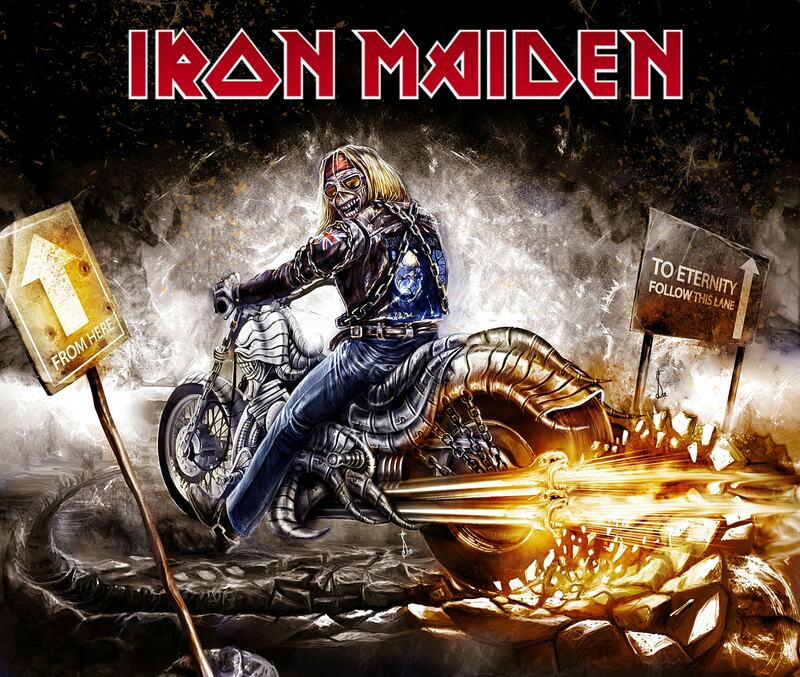 So, for 1979, the musicians signed a contract with EMI, and in 1980 the world saw their debut album Iron Maiden, which received excellent reviews of music experts. 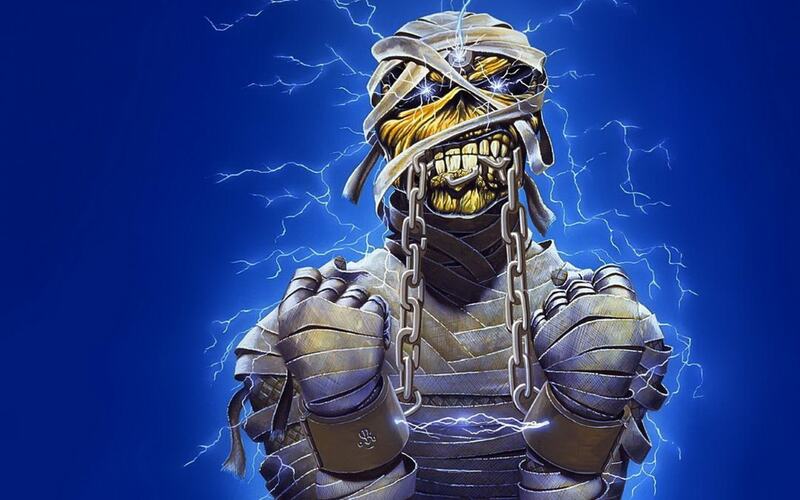 Rockers are not forced fans to wait long for the next album in 1981, Iron Maiden released their second Studio Killers, appeared to be as strong as its predecessor. Early career was a success, because the musicians not only had a lot of fans, but also managed to earn a reputation as one of the most talented young groups. 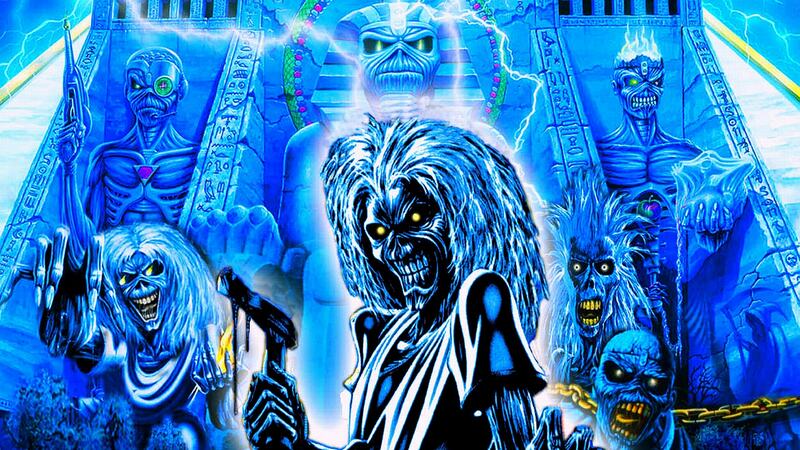 It so happened that the members of Iron Maiden have always been plenty of fresh ideas that they are very well embodied on their albums. The albums The Number Of The Beast (1982) and Piece Of Mind (1983) year achieved Platinum status and the band’s Home country, and on the other side of the Atlantic ocean. In 1983, the famous Kerrang! 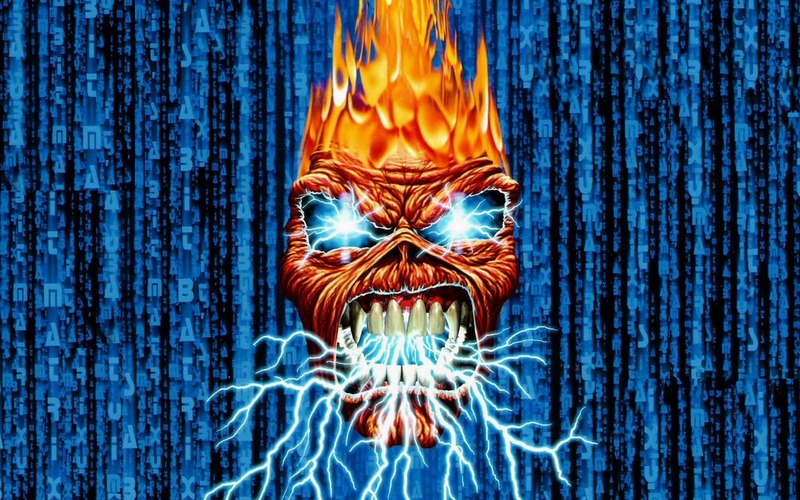 published a list of the Greatest heavy Metal albums of All Time, and that Piece Of Mind and The Number Of The Beast was in him in the first and second lines, respectively. 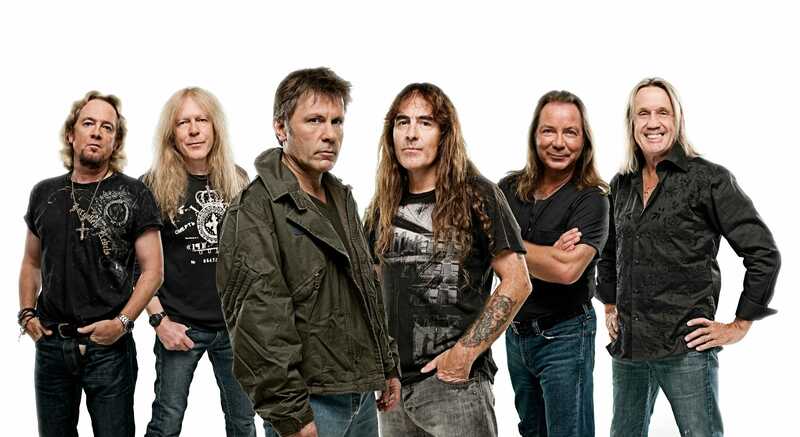 In General, the eighties of steel for Iron Maiden’s Golden age, the band released one of their best albums and has achieved global recognition. 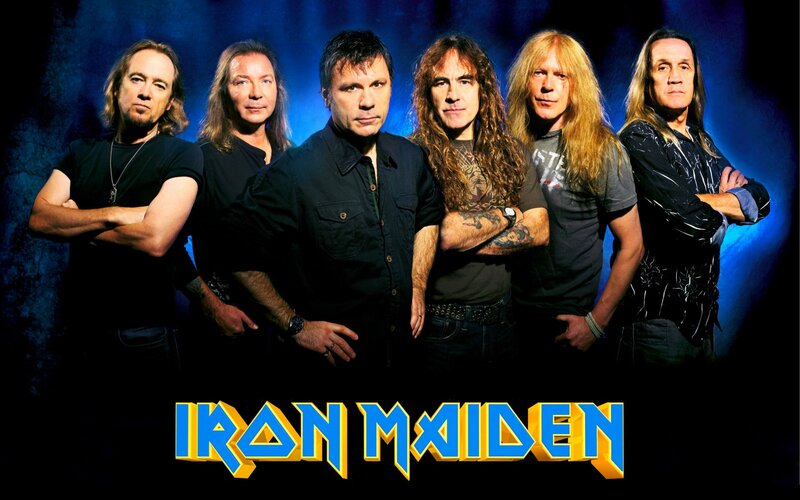 The nineties were a little less successful for the rockers: there were rumors about the collapse of the Iron Maiden, which, fortunately, was not confirmed. It is possible that the albums of the nineties was taken slightly worse due to the departure of talented vocalist Bruce Dickinson. 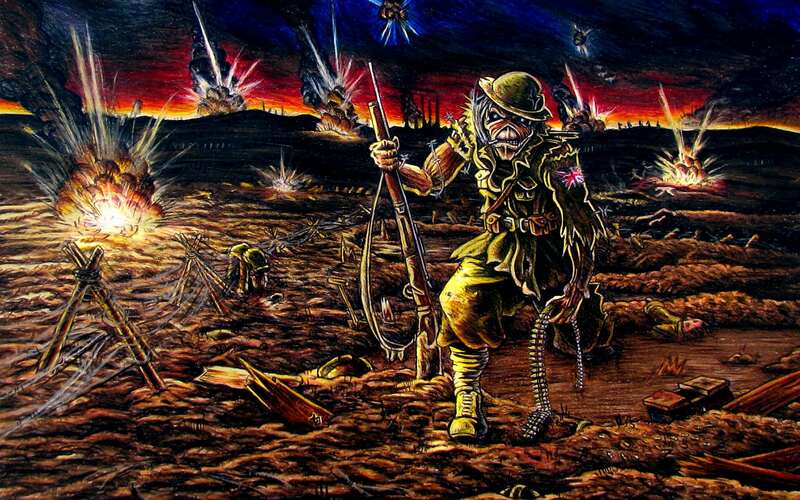 However, fans of the team still was not disappointed as the discography of the pioneers of the New wave of British heavy Metal was replenished with such strong records as No Prayer For The Dying (1990) Fear Of The Dark (1992) and many others. 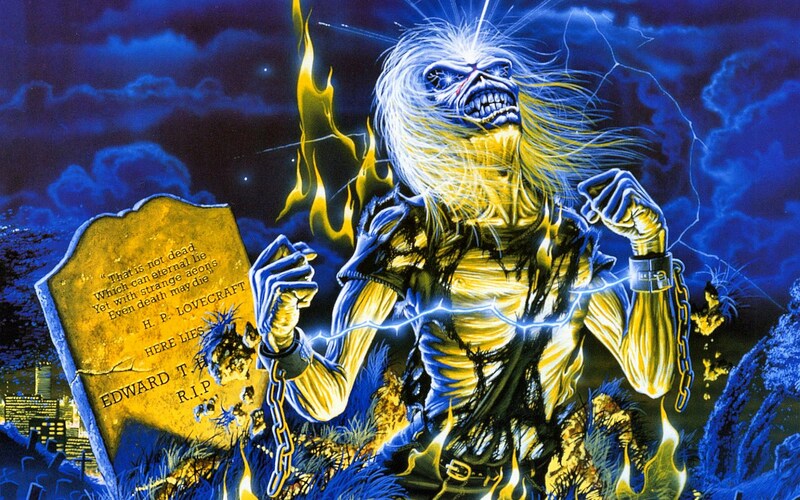 In 1993, the world saw the live album A Real Dead One, recorded during performances of Iron Maiden in Europe. 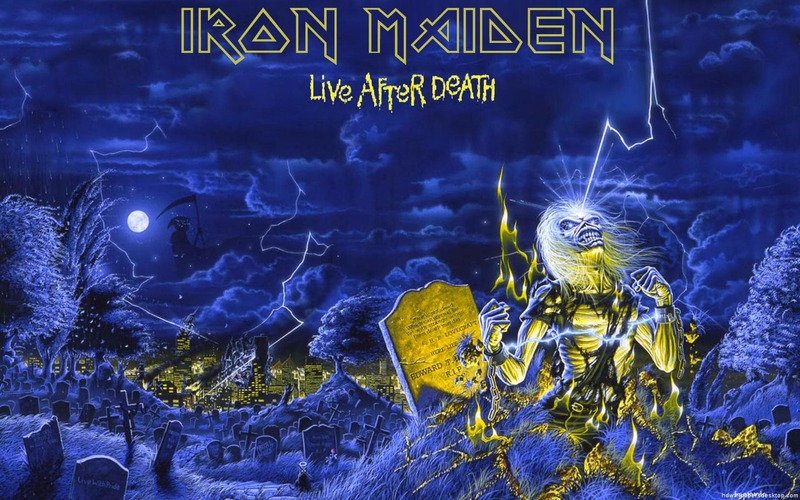 If you prefer the atmosphere of live performances A Real Dead One was a real gift because this album was able to perfectly convey the energy and drive that prevails on the show Iron Maiden. And even if we assume that the nineties are not the most successful stage works of the legendary British rockers, the Millennium will put everything in its place. 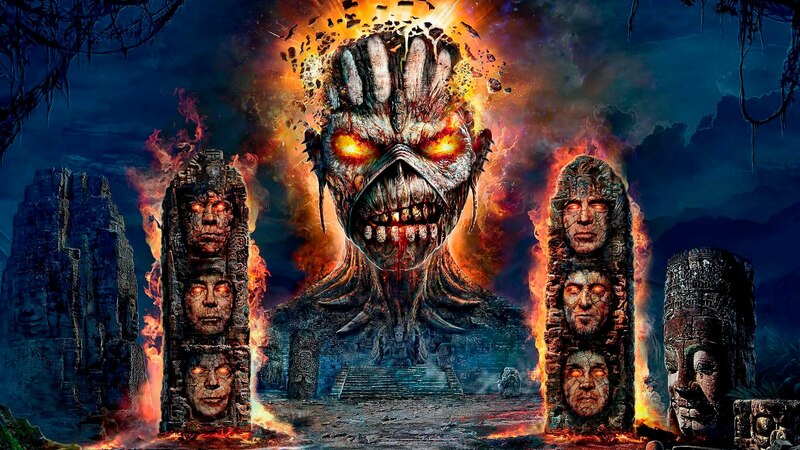 It is worth noting the uniqueness of the composition of the Iron Maiden in the two thousandth: not every group can boast three guitarists, and even at this level. 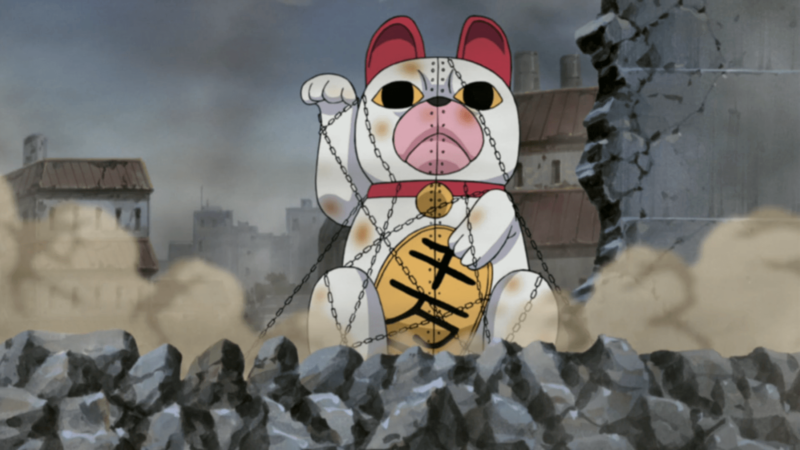 This move allowed us to make a new sound, even more powerful than before. 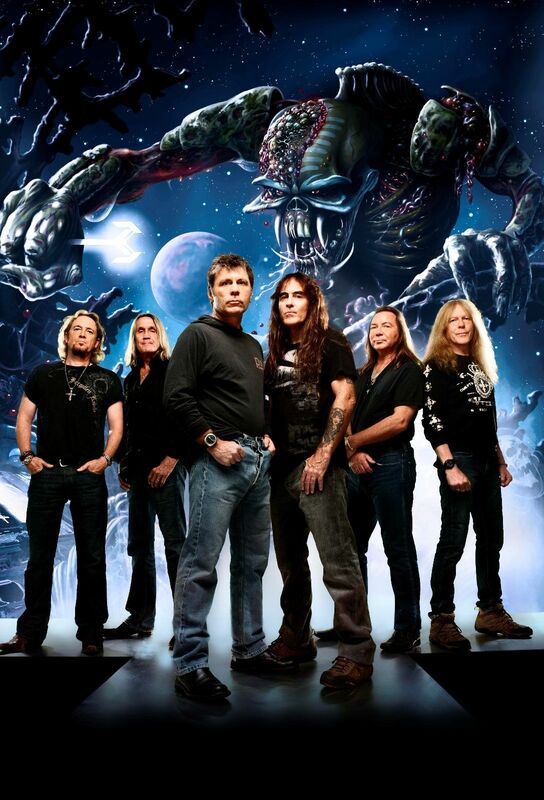 Besides, to the delight of the loyal fans of Iron Maiden, returned to the band, Bruce Dickinson. Published in 2000 album Brave New World confidently debuted in second place in the UK and soon reached Gold status. Three years later, the release is not less interesting and strong LP Dance Of Death (2003), made in the best traditions of the Iron Maiden. In 2006 came the fourteenth Studio album A Matter Of Life And Death, which pleased the fans and got excellent reviews by music experts. In 2010, the world saw the album The Final Frontier, to wait that fans have had for four years. The skill of the musicians allowed them to create not only incredibly strong but also very complex from the point of view of technique work. 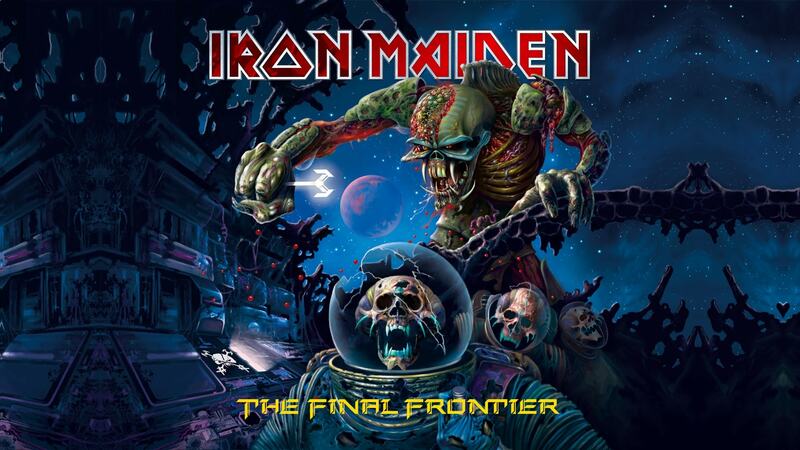 Iron Maiden never looked for the easy way, and laid the hundred percent, and The Final Frontier – a vivid example. This Studio album has already caused a stir among the millions of fans of the team, and there is no doubt that The Final Frontier will be of interest to everyone who loves good music.